This wonderful winter scene shows the beauty of winter and will add a special touch to any holiday decor. This personalized Christmas plaque will be customized with any personal name or message up to 20 characters! 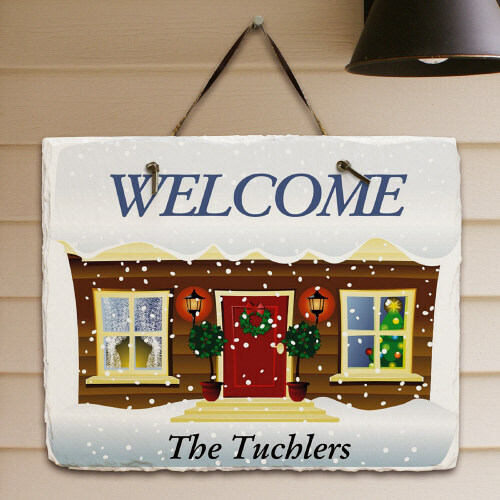 Our custom winter natural slate Personalized Christmas Signs measure 11.5" W x 9" H and include a leather strap for easy hanging.